On the long red-brick former admiralty building located on the Amsterdam harbour front hangs a large bronze plaque. It commemorates not the brave career of some heroic naval officer, but the sojourn in that building of a young, zealous theology student named Vincent van Gogh. Lodging there from May 1877 to July 1878 with his uncle Rear Admiral Johannes van Gogh, Vincent tried unsuccessfully to prepare for theological study, tutored by another uncle, a minister of the Dutch Reformed Church. Sundays for Vincent involved a self-imposed routine of fanatical church attendance: an early morning service in the Oosterkerk nearby, followed by another in the Oudezijds Kapel (to this day an evangelical ministry in the red-light district). Walking further to the next sermon in the Westerkerk, he concluded his circuit in the Noorderkerk. The bronze plaque cites his own words to his brother Theo about the ‘many church porches and floors’ he had seen in the city. Failure at his studies led to departure to a poor mining district in Belgium as a lay preacher. With the same fanaticism he involved himself in the lives of the poor, gave away all his belongings and even went down into the mines. But his efforts were rejected by both the locals and the mission for whom he was working. His sketches of the bleak, poverty-stricken Borinage however prompted Theo to advise him to become an artist. But this new search for his calling was also fraught with disappointment, rejection and failure. He wrote to Theo that he would ‘never amount to anything important’. Further failure (including an ill-fated attempt to help a prostitute and her child) forced him to move back in with his parents in Nuenen, near Eindhoven, in the south of the Netherlands. There he produced over 500 works in earthy colours or pencil, mostly of peasant scenes. Then France beckoned, firstly to Paris where he discovered colour and developed his typical short brush stroke style, and later to Arles in the south where he hoped to set up a brotherhood of artists. There his tempestuous relationship with Paul Gauguin led to a year in an asylum and the production of another 150 works. The final year of his life, 1889-90, Vincent moved to Auvers-sur-Oise to be closer to his brother. His frantic artistic activity continued, yielding a painting a day. One day in July 1890 he staggered back from a cornfield with a fatal gun wound. He died two days later. Until recently it was assumed he had shot himself. But questions about the angle of the shot and other circumstances have now led to theories that local youths were responsible. 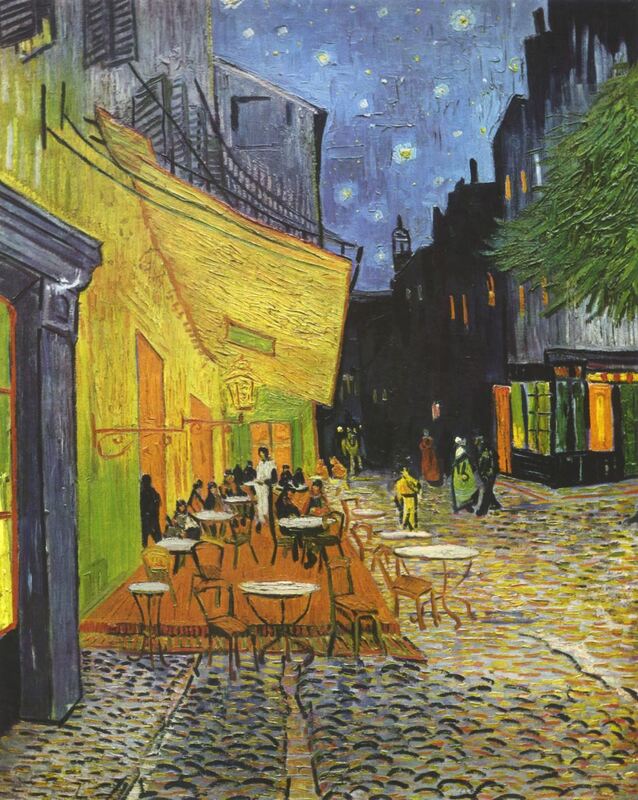 The tragically-short life of Vincent van Gogh was one of paradox upon paradox. During his prolific decade of artistic production before he died, he struggled to sell his paintings. Yet today his works sell for hundreds of millions of euros. His association with Amsterdam was never as a painter. Yet today one of Amsterdam’s most popular tourist attractions is the Van Gogh Museum, where fans line up every day outside, eager to see the collection of over 200 of his originals. 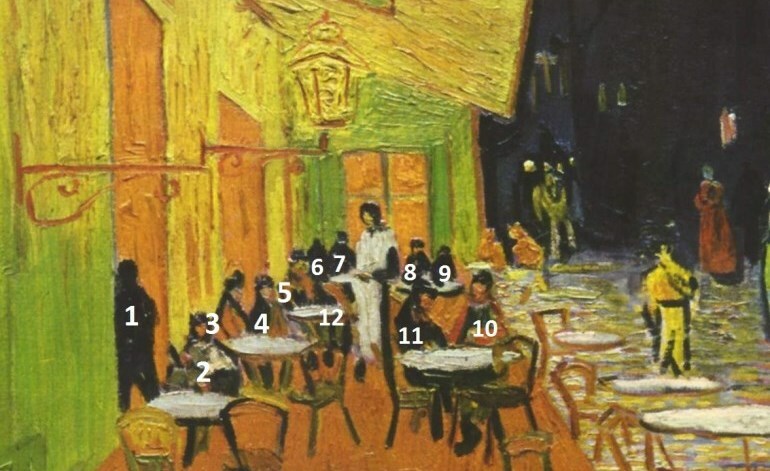 Most recently my eight-year-old granddaughter – a committed Vincent fan – made me aware of new research declaring Café Terrace at Night (1888) to depict the Last Supper, complete with a shadowy Judas slipping out the door, a central Jesus-figure with a cross behind him, and the remaining disciples seated at the tables. The whole scene is bathed in a golden-yellow hue, van Gogh’s typical allusion to the divine. Jeff Fountain is director of the Schuman Centre for European Studies (see www.schumancentre.eu) and lives with his wife Romkje in Heerde, The Netherlands. He writes a weekly e-mail blog in which this article originally appeared. He writes to restore an understanding of the transcendental in European art, culture and history that is so often minimized by reductionist perspectives.